Your Collection Solution, LLC, is a debt collection agency specializing in debt collection services for the State of New York including NYC and the State of New Jersey. Our agency staffs only veteran debt collection professionals. Take advantage of our expertise. Allow us to collect your outstanding receivables. Our collection agency services include but are not limited to collecting bad checks, past-due commercial and retail receivables, and delinquent medical receivables. 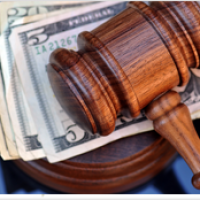 In addition, our agency offers judgment enforcement/collection in New York and New Jersey.